Put your shades on and it's a beautiful world. That's exactly how we feel whenever we spot a pair of quirky sunglasses. While we all love our Ray-Ban, don't we love those quirky shaped sunglasses to spruce up our Instagram feed. We sure do! So, here is our pick of sunglasses (or shades) that don't cost a lot but will surely help us lunge at Summer, in style. Classic, retro, geeky, bling or whatever is your choice, you're going to find it at Lulu & Sky. Keeping your style in check, the sunglasses from Lulu & Sky start anywhere at INR 250 and leaves very less to complain about. This Pink Retro Sunglasses are our favourite and if you know LBB team personally, you might have surely spotted these with us. Koovs has plenty of sunglasses and it's where most of us have started experimenting with different types of them. If classic black is what pleases you, this metallic frame round sunglasses are all you need. Simple and timeless, you can pair these with any outfit. When it comes to budget shopping, how can Shein ever escape your sight? With that in mind, we've browsed the entire collection of Shein and spotted this cat eye sunglasses. Every bit dainty and stylish, we're grabbing this pair, for sure. Even more so, because it costs INR 323 only. Do tinted sunnies float your boat? These purple coloured Dreamcatcher Sunglasses from Fancy Pants are really bae. This hexagonal-shaped sunglasses will set you apart and they come in pink colour too. And the best part? They cost you INR 750 only. Don't shy away from experimenting with all things funky. In other words, we are asking you to check out this pair of browline sunglasses. Big, brown, and badass, this pair is all you need to block the Sun out of your way. Looking for some fun? 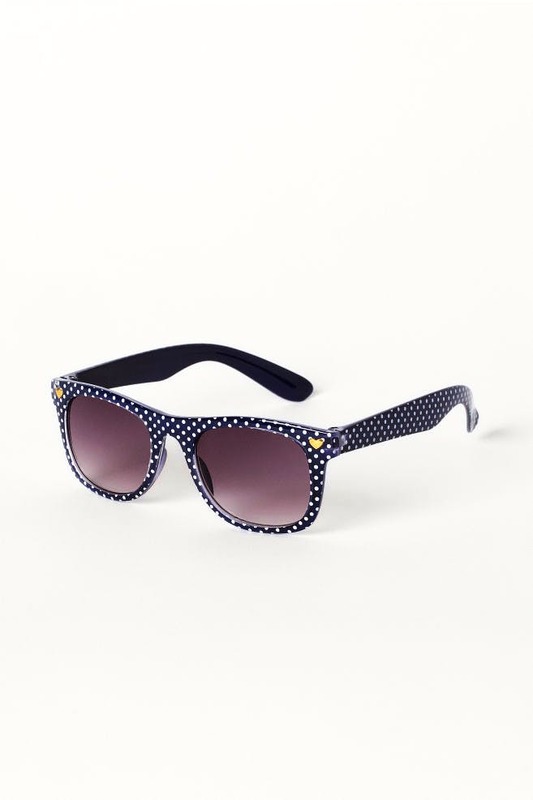 You are asking for trouble with this pair of Spotted Sunglasses because we know it's going to become your wardrobe staple. If you are in no mood to dress up and plan to turn up at work in plain casuals, this pair of sunglasses will do all the magic. So, get them!